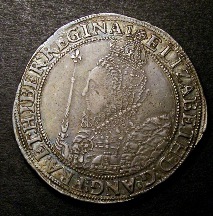 1097 Crown Elizabeth I mintmark 1 (1601) S.2582 EF or near so even tone and well balanced with no weak areas or significant problems, desirable and rare thus. 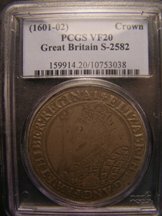 Choice EF examples of this type can realise into five figures see lot 605 LCA auction 115 March 2006 pictured on London Coins highlights page which realised £11,000. 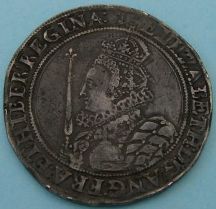 1871 Halfcrown Elizabeth I, 7th issue, mint mark 1. S.2583. Very fine, well struck on an even round flan.